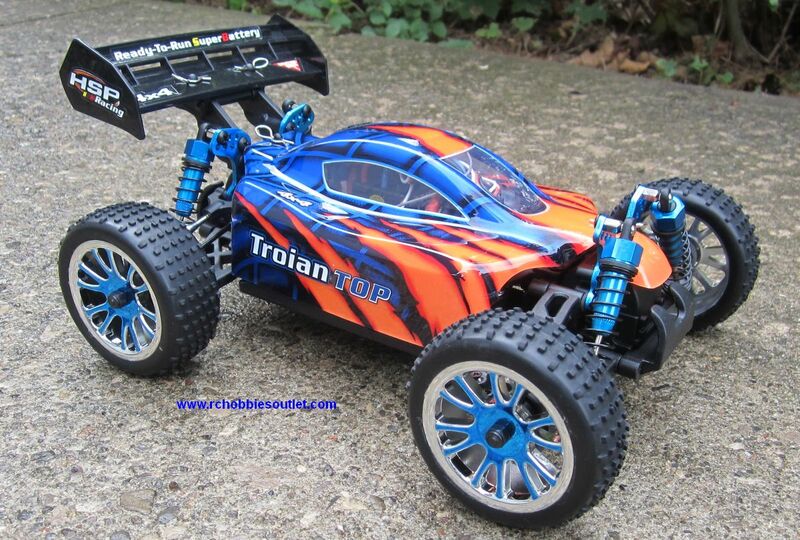 This 1/16 Scale TOP2 Electric RC Racing Buggy takes a massive leap in Raw Speed and Acceleration thanks to the very latest technology in Brushless motors, Brushless Electronic Speed Control and high powered LIPO Batteries. 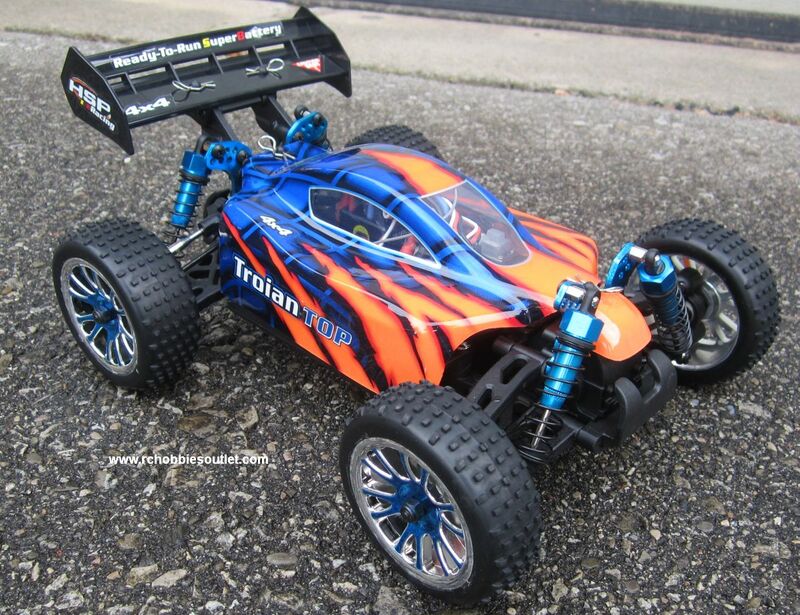 Don't let the smaller 1/16 scale size fool you., this RC Buggy packs a Massive punch, and is one of the fastest 1/16 Scale RC Buggies on the market. Whether you are a professional RC racer or you just want to blow off your friends cars, the new TOP2 Version now comes the very latest 98% efficient HSP Brushless Motor. 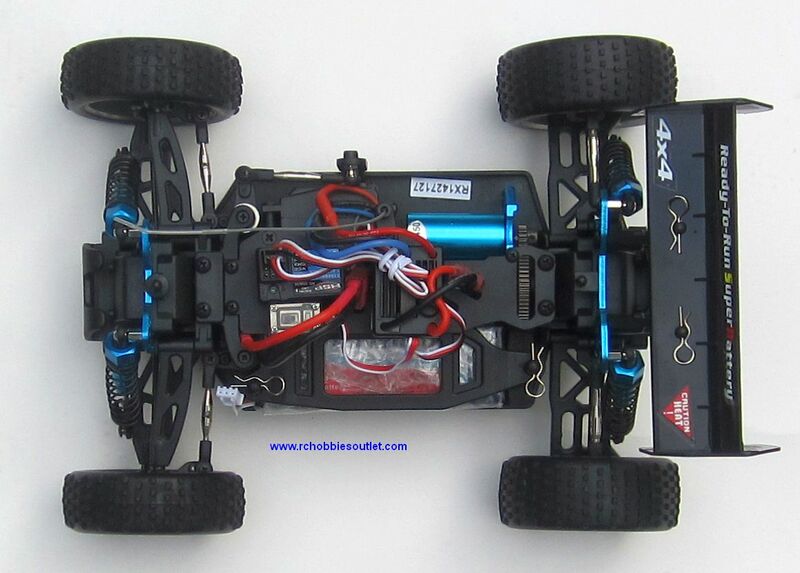 Not only does this motor give the RC car a whopping 30% more speed, it also screams around the track much longer due to the fact the brushless motor is 98% efficient compared to only 48% for brushed motors. 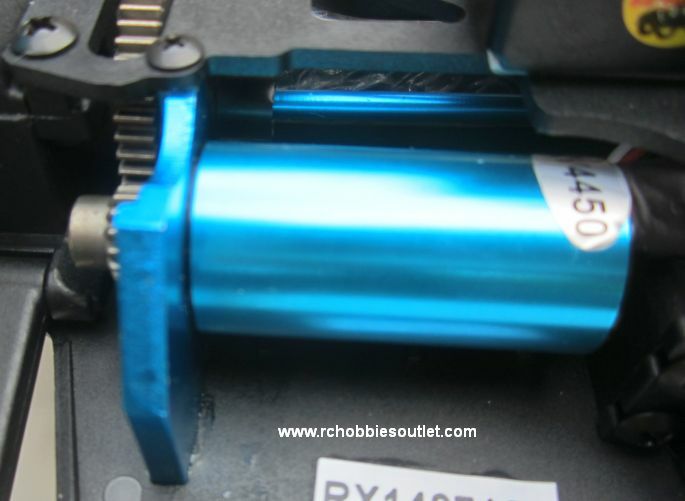 The Pro Version RC Buggy also comes with a load of Factory Hot Up Alloy Race parts including all-metal shocks, full ball-bearings, and the stunning 2 tone Chrome and Blue Factory Race Wheels, all Factory Installed. It also comes with a 7.4v 1800 MAH 25C LIPO battery for substantially higher speeds and acceleration, and longer play time. The Tail wing creates a rear downforce for added traction and high speed stability. Easy to dial in for good control. Better than expected battery recharge time. Shipped with battery that is too wide and too thin to fit properly in battery tray. Most suspension components are plastic, but aluminum upgrades available. Received item in less than 24hrs! Very fast. Battery last long. Accelerations are good. All and all very impressed with this buggy. Highly recommended. Great and nice buggy, very fast, great quality, and RChobbiesoutlet as always great service, great communication, fast shipping. 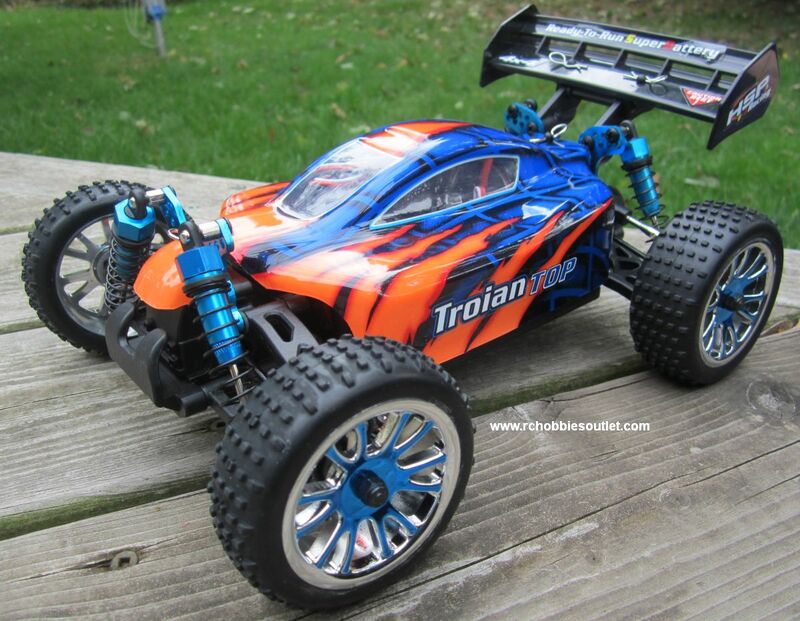 IF you are serious about RC toys, RChobbiesoutlet is the best seller !